To better serve HDInsight customers worldwide, HDInsight Tools for VSCode now can be connected to all the Azure environments which host HDInsight services. This includes Azure government and regional clouds used by customers with specific compliance and data sovereignty requirements. Developers can easily switch across different Azure environments through the Set Azure Environment command in the VSCode command palette. This feature is especially useful for Hive and Spark developers who would like to have an editor with easy data query or job submission for Azure government and regional environments but found it difficult. 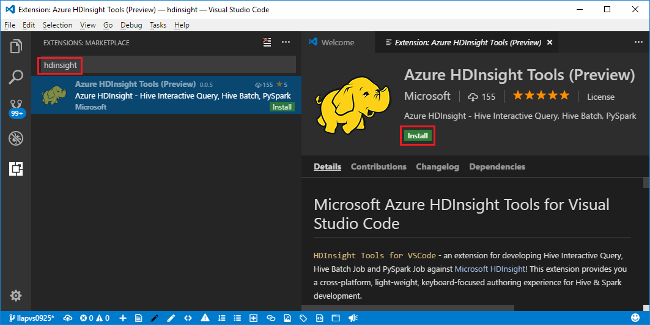 With this new capability we help those customers by providing fast and simple access to HDInsight Tools for VSCode and connecting to Azure environments in just a click.